Colonies of the ant Temnothorax albipennis nest in small crevices between rocks. When the rocks shift and the nest is broken open, these ants must quickly choose a new nest to move into. During the first phase of the decision-making process, a small portion of the workers leave the destroyed nest and search for new crevices. When one of these scout ants finds a potential nest, she assesses the quality of the crevice based on a variety of factors including the size of the interior, the number of openings (based on light level), and the presence or absence of dead ants. The worker then returns to the destroyed nest, where it will wait for a short period before recruiting other workers to follow her to the nest she found using a process called tandem running. The waiting period is inversely related to the quality of the site; for instance, a worker that has found a poor site will wait longer than a worker that encountered a good site. As the new recruits visit the potential nest site and make their own assessment of its quality, the number of ants visiting the crevice increases. 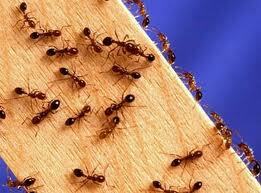 During this stage ants may be visiting many different potential nests. However, because of the differences in the waiting period the number of ants in the best nest will tend to increase at the greatest rate. Eventually, the ants in this nest will sense that the rate at which they encounter other ants has exceeded a particular threshold, indicating that the quorum number has been reached. Once the ants sense a quorum, they return to the destroyed nest and begin rapidly carrying the brood, queen, and fellow workers to the new nest. Scouts that are still tandem-running to other potential sites are also recruited to the new nest and the entire colony moves. Thus although no single worker may have visited and compared all of the available options, quorum sensing enables the colony as a whole to quickly make good decisions about where to move. The standard Corporate model of centralized new product development and decision making has its advantages, but also many limitations. When rapid growth or adaptation is necessary, innovation often works best when many minds can contribute their talents, insights, networks, and scouting activities to the search for fruitful new places to colonize. If decisions are fully centralized, they take forever and many good spots will be ignored. More rapid and efficient pursuit of innovation requires distributed authority and the involvement of many and systems that can tap and respond to the efforts of many without the endless waiting for one all-knowing top dog to sift through the data and make a decision. How flexible is your organization, really? 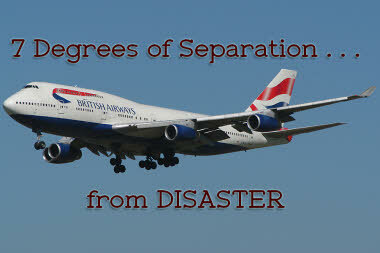 How distributed and dilute is the power to act on innovation opportunities? What systems do you have to tap the knowledge, skills, and networks of all employees? 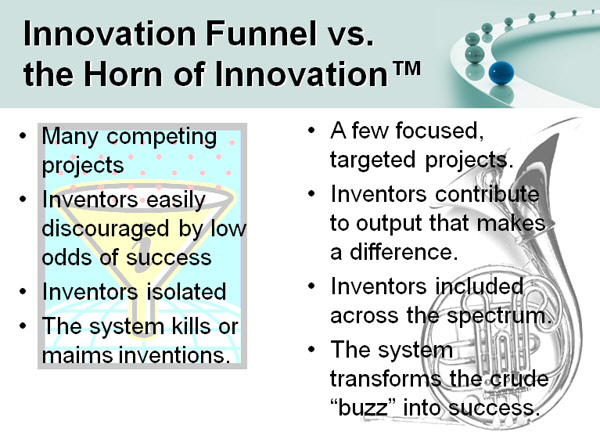 One of the major concepts we discuss in Conquering Innovation Fatigue is the Horn of Innovation, a concept that turns the slow, inefficient innovation funnel around and yields a more efficient innovation system in which innovators, like the quorum sensing ants, are directly involved in all aspects of the innovation process. 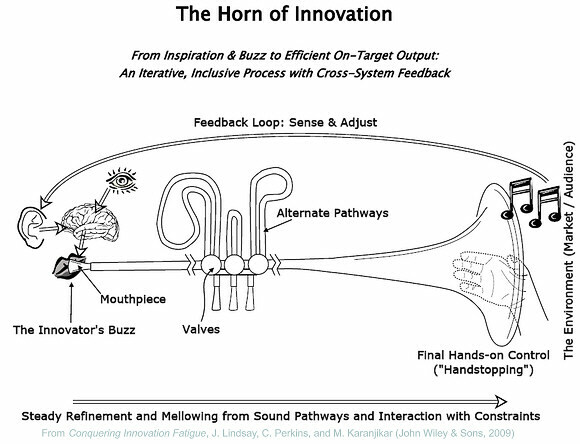 In our musical analogy, the innovators are able to shape and adapt the innovation in response to the feedback from the market and business leaders for rapid and efficient adaptation, rather than just tossing ideas into the black hole of a funnel and hoping somebody will do something with them occasionally. Innovators need to be included in healthy, robust feedback loops that are closer to the quorum sensing mechanisms than purely centralized, autocratic business systems. I’m willing to bet that it’s time your organization shelves its old, costly systems and implements improved paradigms for innovation. The lives and ants and the physics of horns can both teach us lessons about better ways to run innovation in a business.